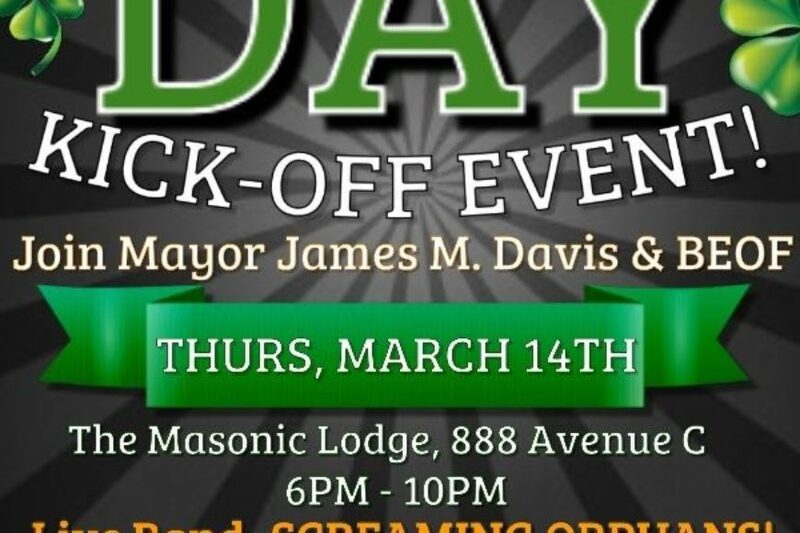 Please join Mayor James M. Davis & BEOF for the 3rd Annual St. Patrick’s Day Kick-off Event on Thursday March 14, 2019 at The Masonic Lodge, 888 Avenue C in Bayonne, NJ from 6PM-10PM. 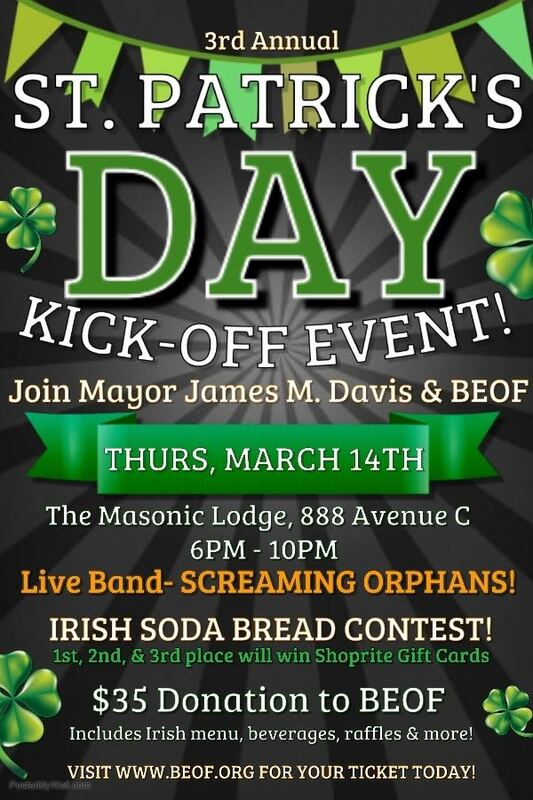 $35 Donation to BEOF includes Irish Menu, beverages, raffles & more! There will be an Irish Soda Bread Contest! 1st, 2nd, & 3rd place winners will receive Shoprite Gift Cards! Purchase your ticket(s) today- space is limited! We look forward to seeing you there.